Casino with a theatre hall. Built 1898-1900 by Borgeaud and Meyer. Opened 21 Feb 1900. Currently used as a restaurant and for various events. 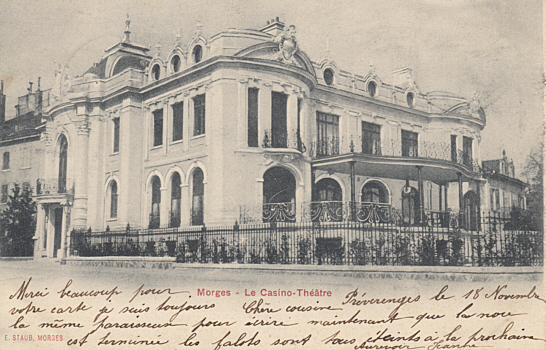 Front Text: "Morges - Le Casino-Théâtre"